The European Tour remains in South Africa this week after last week’s Joburg Open for the Africa Open and it’s an event I’m looking forward to. 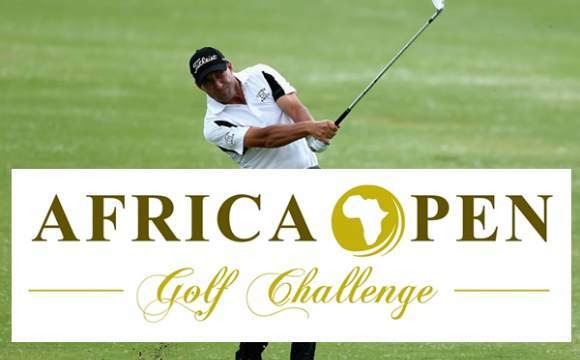 From 2010 to present the European Tour has co-sanctioned the Africa Open and the field is weaker than ever however that is preferable from a betting perspective. As you can see below South Africans have dominated this event since its inception on the European Tour, although I’m not sure that’ll be the case this time around with Thomas Aiken, Louis Oosthuizen and Charl Schwartzel not participating. At 6,616 yards East London Golf Club is relatively short in length and this obviously favours the shorter hitters of the ball. Over the past four years only Louis Oosthuizen has ranked inside the top 50 in driving distance and recorded a top three finish. This shows that driving distance is far from a necessity around this track. Driving accuracy has proved to be far more important than distance at East London Golf Club and I expect that to be the case once again this year. From 2012 to present ten players have finished inside the top three (including ties) in the Africa Open and only one of those were ranked outside the top 100 in terms of driving accuracy on the European Tour. Five of the ten players were ranked 46th or better in the driving accuracy statistic in the year they recorded their top three finish, thus showing how important accuracy off the tee is this week. Another important trait this week is the ability to perform well in windy conditions. East London Golf Courses main defence is the wind and that’s because it’s located near the coast. Simply look at last year’s top 3 (including ties), Thomas Aiken, Oliver Fisher, John Hahn and David Horsey. Last year’s winner Aiken has a good record around links courses, he has finished 7th in the Open Championship and also has a good record in the KLM Open. Like Aiken, Oliver Fisher has a good record in the KLM Open which can be susceptible to wind, he tied for 11th in 2013 and finished 9th last year. Admittedly John Hahn hasn’t played many events on the European Tour where the wind can have a big influence although he did finish 21st in the Scottish Open in 2014. Finally David Horsey is an excellent player in windy conditions, he won the Trophee Hassan where the wind is often a factor and he has also recorded three top 15 finishes in that event. Simon Dyson – I backed Simon Dyson last week in the Joburg Open and I’m happy to back the Englishman again at 80/1. Dyson is a six time winner on the European Tour and he recorded seven top ten finishes throughout 2014, he is a top player. Last week Simon finished 37th however he was in contention going into the final round, a poor fourth round of 75 led to him dropping down the leaderboard. He hit an impressive 83.3% of greens in regulation throughout the week and this suggests his game is in good shape. Dyson has played in this event on one occasion and he missed the cut however the course should suit his game. He’s an accurate driver of the ball which is important this week and he can perform very well in windy conditions. He has won the KLM Open on three occasions and has finished 9th in the Open Championship, these results show he can perform well in the wind. Matthew Baldwin – Matthew Baldwin is well worth a bet at 100/1 this week in my opinion. 2014 was his best season on the European Tour, he finished 59th in the Race to Dubai standings and recorded a 2nd and 3rd place finish. Admittedly he hasn’t made a great start to this season but he finished in 24th position last week and hit 79.2% of greens in regulation which is very good. Baldwin’s course form isn’t great however he did finish 10th around East London Golf Club in 2012 which suggests he can perform well around this track and the course should suit his game in my opinion. He isn’t particularly long off the tee and the course in use this week is one of the shortest used on the European Tour. The wind is the courses main defence and Baldwin has proved that he can perform well in windy conditions, last year he finished 5th in the French Open and in 2013 he finished 5th in the Trophee Hassan II, both events featured wind. Mikko Korhonen – I’ve backed Mikko Korhonen on a few occasions before and I think he is a generous price once again this week at 125/1. He’s made a good start to the season making 3 out of three cuts and has finished 25th and 24th in his latest two events. These results suggest that his game is in relatively good shape. Length off the tee is far from essential this week and that’ll suit Mikko who isn’t long. Driving accuracy is more important in my opinion and last year Korhonen was ranked 22nd on the European Tour in the driving accuracy statistic. Korhonen has played in this event on three occasions which is beneficial and he has made the cut on each occasion. Last year he tied for 28th position which is pretty good, hopefully he can go well this year. Matthew Fitzpatrick – Matthew Fitzpatrick is only 20 years old but he is a very talented golfer. He has missed his last four cuts but he has only missed his last two by one shot. In January the Englishman tied for 5th in South Africa and this suggests that he can perform at this level. East London Golf Club should suit Matthew’s game, the course isn’t particularly long and finding the fairways is more important than usual. Fitzpatrick is ranked 17th on the European Tour this year in terms of driving accuracy. Another important trait this week is the ability to perform well in windy conditions, the wind can make this event very tricky and Matthew is a good golfer in the wind. In 2013 he was top amateur in the Open Championship and went onto finish 44th, this is very impressive at the age of 18.